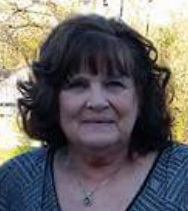 M. Kathy Meppelink, 66, a resident of Lathrop for 32 years, passed away July 13, 2018, at Cameron Regional Medical Center. Visitation will be held from 10 am until 12 noon Saturday, July 21, at Park Lawn Lathrop Chapel, 901 Clinton Street, Lathrop. Dinner will follow at the Lathrop American Legion Hall. Memorials to her husband Gerald would be very much appreciated. Kathy was born July 13, 1952, in Steamboat Springs, Colorado, and moved to the Kansas City area in 1968. She was a waitress for many years and owned restaurants in Lathrop and Kearney before she retired. Kathy was preceded in death by her mother, Nellie (McLaughlin) Parker; father, Elton Manos; step-father, Joseph Parker, Sr.; and son, Billy Meppelink. Survivors include her husband of 48 years, Gerald Meppelink Sr.; son, Gerald Meppelink Jr. (Ruth Ann); daughter, Belinda Craig (Matthew); grandchildren, Elizabeth Carlburg (Zac), Jonathan Meppelink (Kensie), Courtney Register, Jennifer Starr (Brett), Cody Shrout (Jessie Bircher), Conner Craig and Emma Craig; great grandchildren, Addie Register, Harley Carlburg and Haven Carlburg; sisters, Cheryl Duncan, Suzi Cramer (Ernie), Nellie Manos (John Crowder) and Vicki Walburn (Leonard); as well as many nieces, nephews, other family members and friends. Arrangements: Park Lawn Lathrop Chapel (816) 740-4658. Visitation: from 10 a.m. to 12 noon, Saturday, July 21, at Park Lawn Lathrop Chapel, 901 Clinton Street, Lathrop. Dinner will follow at the Lathrop American Legion Hall.